Denny Jump (Bellevue, WA, United States) on 11 February 2016 in Landscape & Rural. An "L.Z." as we used to call them ....When I took this shot, thousands of snow geese had already taken off for their afternoon snack, but the management left the "runway lights" (the sparkles) on so they can have a safe landing on return. Barbara and I were much too late to catch the geese but it was a lovely day and we enjoyed the fresh air and sunshine. Glad you were able to get out for some air and sun. It's in the 70's here, so I have been getting out a little bit too. You have captured a beautiful day in this picture. with beautiful composition, tone, lights & reflections! 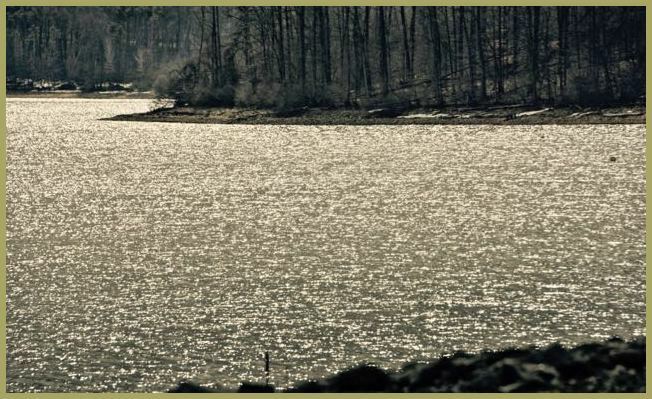 A gorgeous shot of the golden sparkle on the water. The geese have chosen a nice place to rest after their snack. A beautiful image! The water really sparkles! I am doing fine. Trying to stay warm! Hope you are doing well Denny!